Hello and thanks so much for stopping by today! 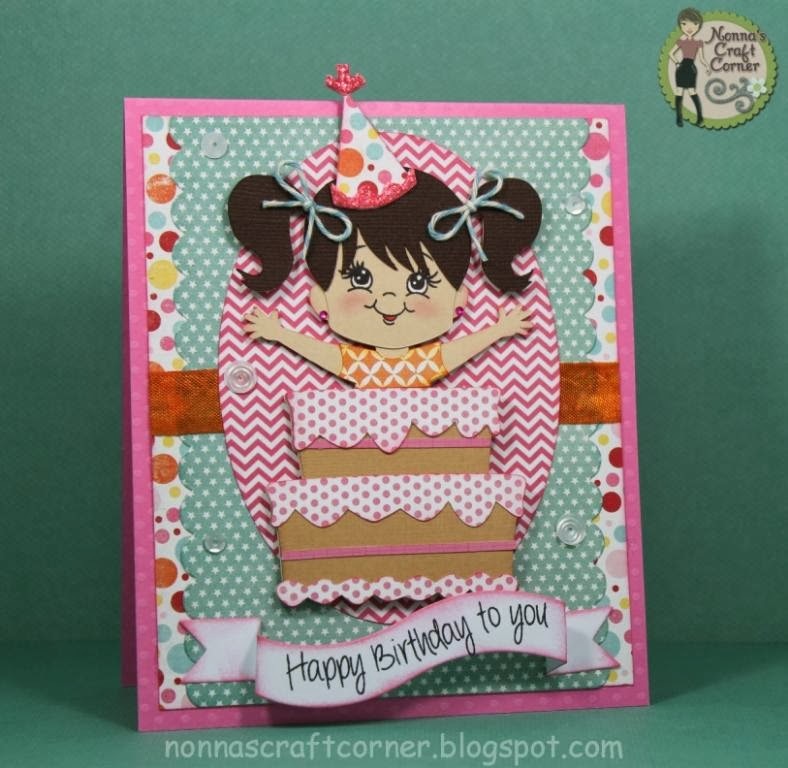 Have you been enjoying the fabulous new stamps and dies at My Craft Spot? If you have missed Day 1 or Day 2 of the Release Party, just scroll down my blog because you don't want to miss out on any of these amazing products! I love to create matching cards and gift bags - so fun to give! * Twine - Trendy Twine "Sky"
And that wraps up my sweet project for Day 3 of the My Craft Spot Release Party! 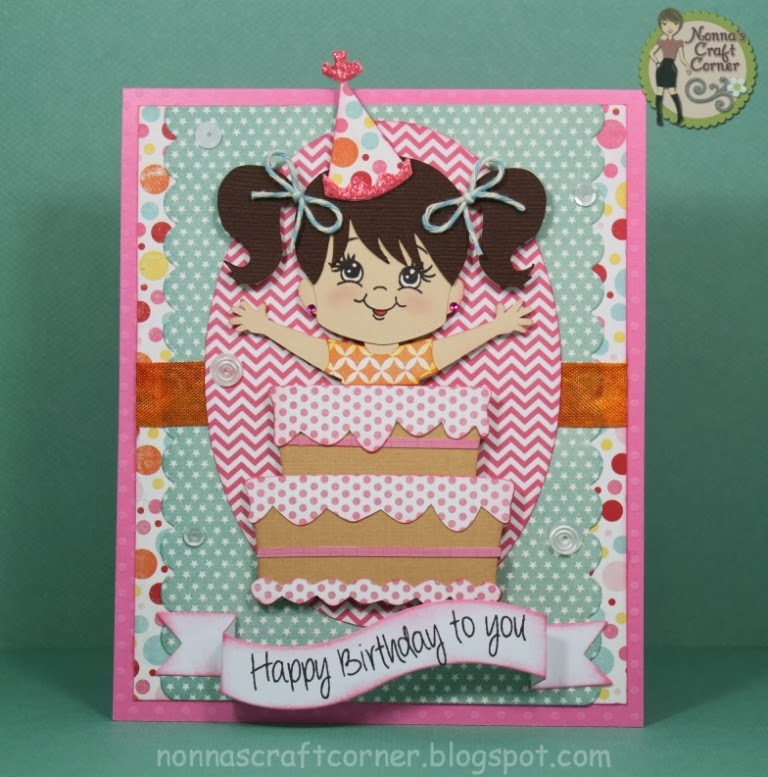 Be sure to check out Kimberly's Blog at My Craft Spot to see what the other Designers have created to inspire you today. Also, make sure that you leave a comment on Kimberly's Blog to be in the running for today's fabulous give-away! Tanya, this is super cute. It screams party. Love the bag and the little girl coming out of the cake is adorable. Great patterns, too. Super cute gift set Tanya! The card is so cute and the bag looks fantastic with the sequins! 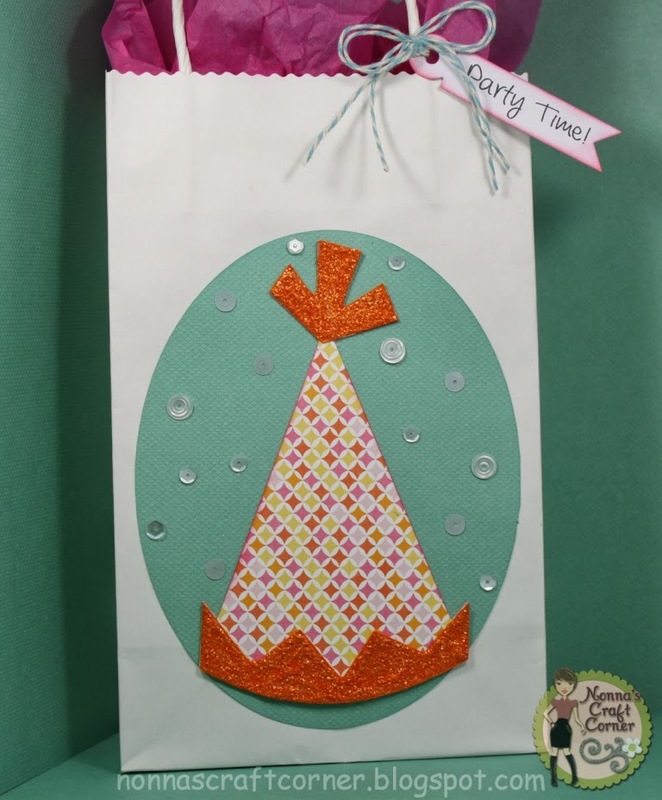 Like the festive altered party bag and card. Tanya, your card is so darn fun! The little girl is so sweet and just love all the fun details and then to top it off with a fun matching bag! Awesome set my friend! Your gift set turned out too stinkin' cute! The little girl just makes me grin... so sweet! These are both so stinkin cute!!!!! I just LOVE your projects Tanya!!! 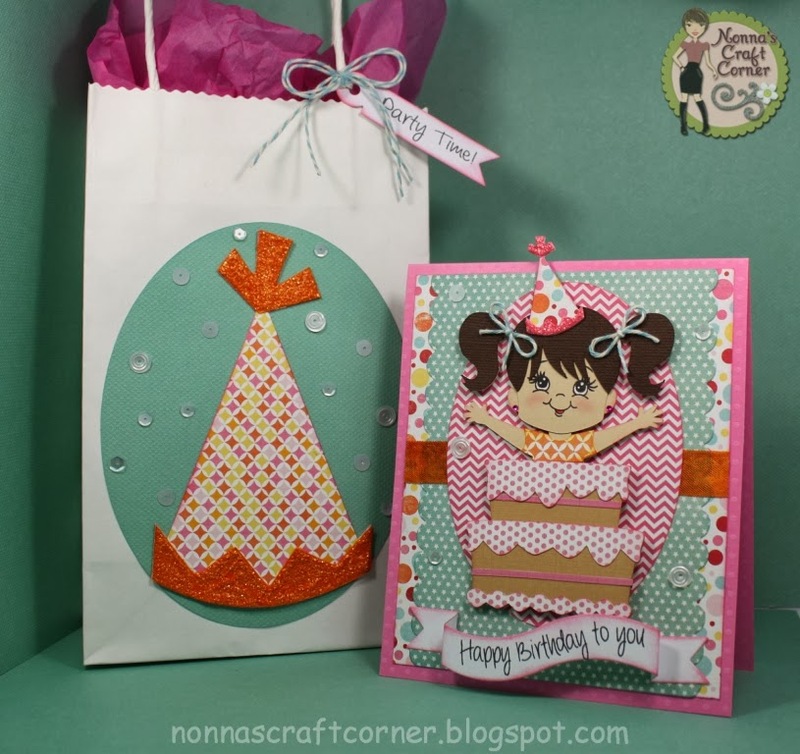 Super CUTE CUTE CUTE birthday card and just LOVE how you made a matching gift bag! Thanks for sharing my friend and have a GREAT night!! Absolutely Adorable. Love your Birthday card so much and the matching gift bag is perfect. Love it. These just scream PARTY TIME!!!! Really cute. I just saw this on FB!! Seriously TO darn cute!! Both are AMAZING and so much FUN!! You ROCK!!! Now this is one super cute party set here. Any little girl would love it. Shoot I'm a big girl and I love it.